we created a hidden room, to escape from the world. Wood, marble and floral steel frames are used to different effects and are found in varying functional and decorative guises in different rooms, linking spaces, creating a cohesive experience and visual ‘buttonholes’; always leading your memory back to other areas of the house. And just as the great English country houses imitated the Renaissance villa’s The facades of this home echo the golden section based window openings of the great Renaissance villa’s. 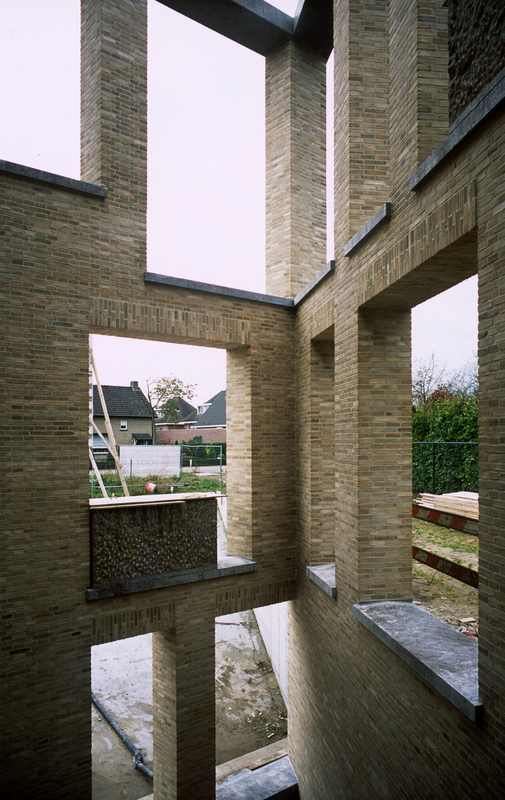 Some openings are formed by entire windows other openings are made up of compositions of natural stone (German Muschelkalk) in various finishes and small windows, a further refinement using the Fibonacci sequence. The opening above the front door is just a setback in the brick facade as if anticipating a future window. This difference creates a day and night facade since the Muschelkalk compositions appear as solid dark openings by day only to reveal their small windows by night. 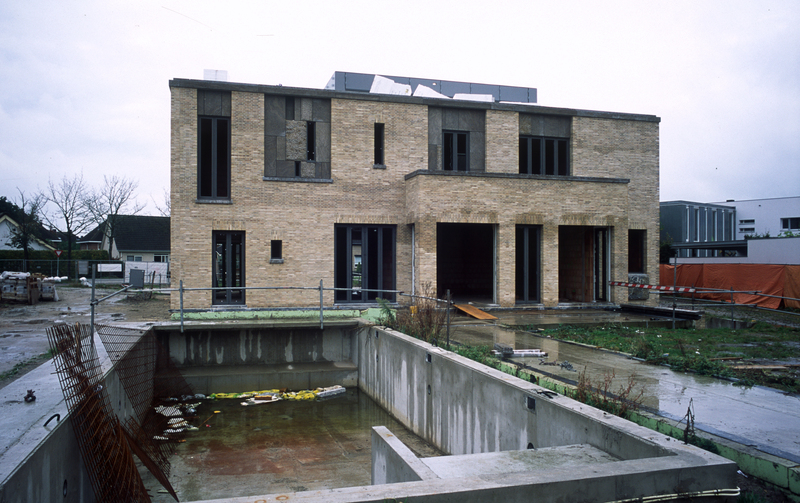 The far left corner of the house is reserved for a 12 meter high open tree room (from the cellar up to the first floor) integrating nature within the architecture of the facade and opening up a number of key rooms to an internal courtyard and a reference to the zero-emissions target of the entire house. © EYKING 2019. All rights reserved.